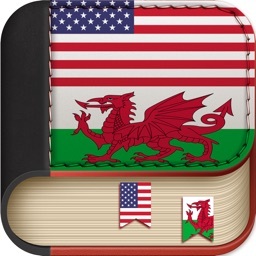 Y Tywydd is a weather app that gives detailed forecasts in the Welsh language. 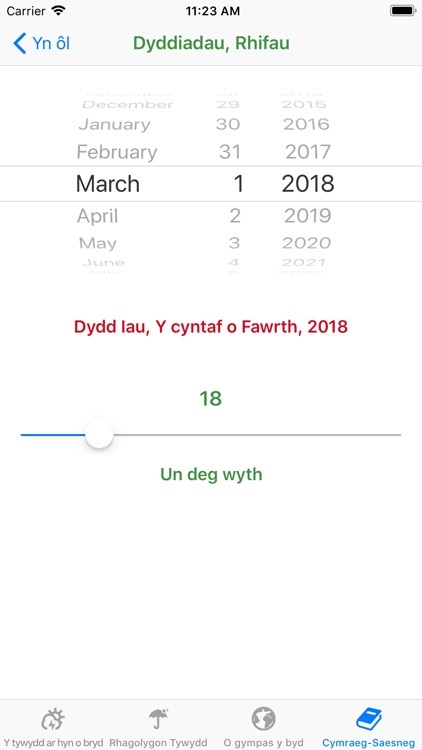 Not only does it let you know what the weather's going to be like where you are, it also teaches you lots of Welsh words and phrases. 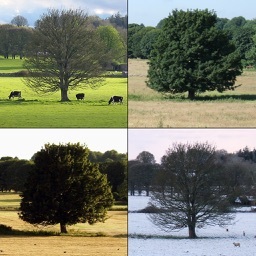 Y Tywydd (Welsh for 'the weather') uses data from OpenWeatherMap to give accurate and detailed current and seven day forecasts. 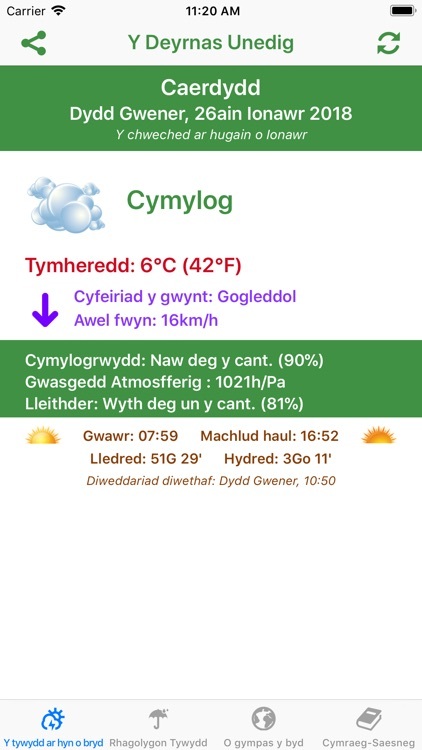 Y Tywydd's forecasts also provide information on wind strength and direction, atmospheric pressure and humidity. 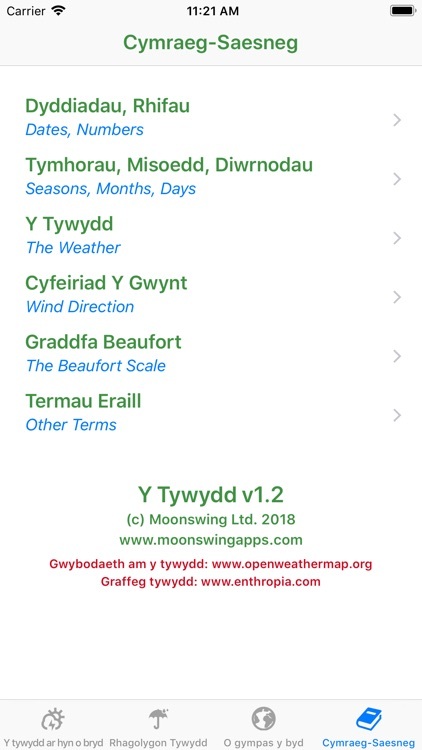 On the "O Gympas Y Byd" (Around the World) screen, you can click on any location on the map to get the current weather conditions there - in Welsh. 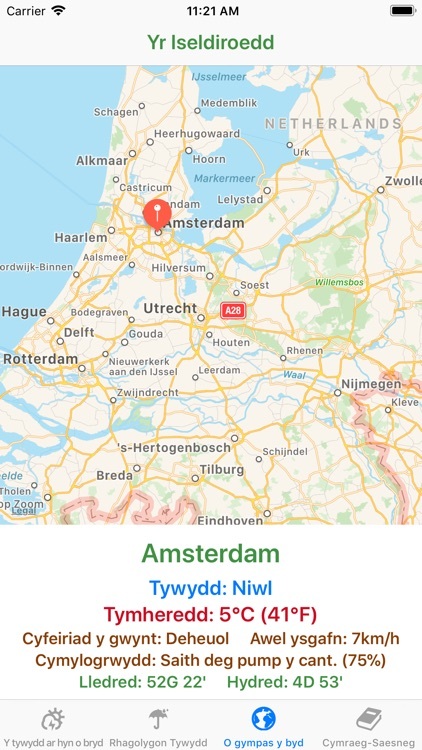 In addition to providing weather information, the aim of the app is to present the user with as wide range of Welsh language vocabulary as possible. 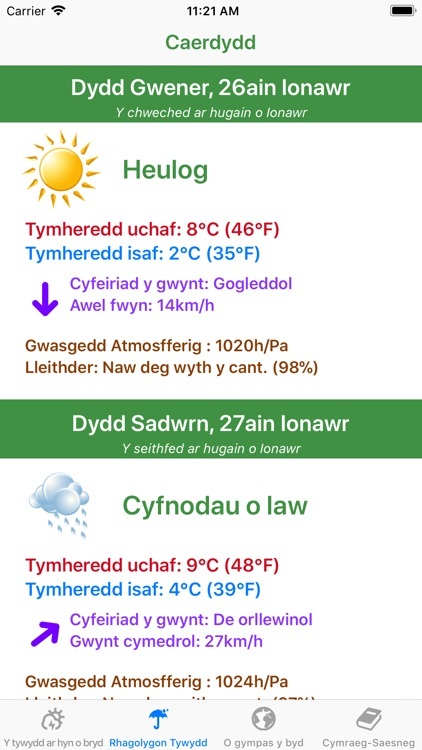 While the app is attractively designed, with many beautiful images and informative icons, a large amount of the weather data is presented in text format, so the user is exposed to a large number of Welsh words and phrases. 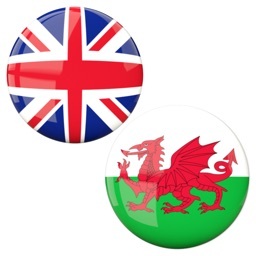 It's the perfect tool to brush up your Welsh language skills or maybe just learn a few words. 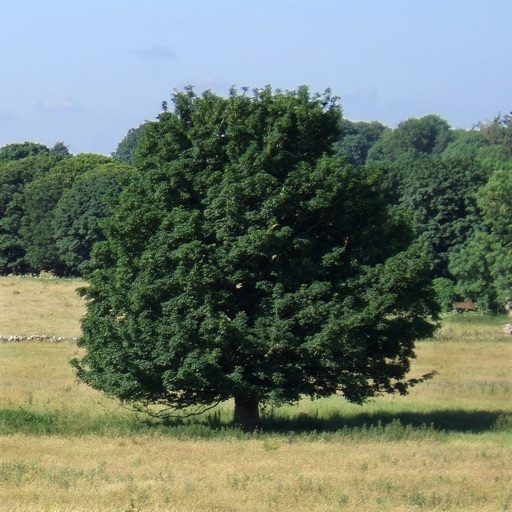 'Rhowch Gynnig Arni!' (Give it a try! ).